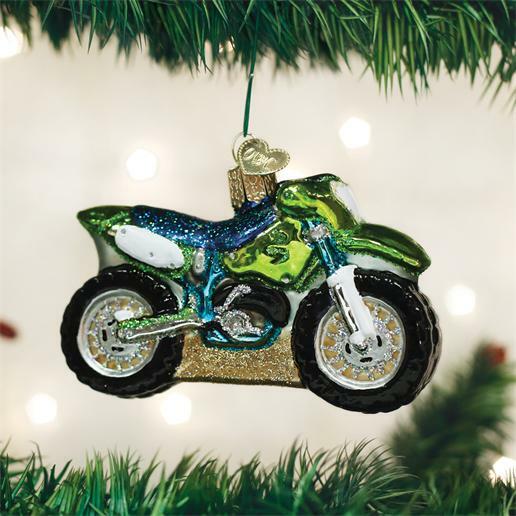 Home > Old World Christmas - Traditional Glass Christmas Ornaments > Old World Christmas Glass Ornament - "Motocross Bike"
Motocross is a form of off-road motorcycle racing, originating from United Kingdom s motorcycle competitions in the early 1900s. Motocross bikes were once known as scramblers. These bikes are raced on short, closed tracks with a variety of obstacles. The sport of motocross has expanded into a variety of motor racing.